An ode is from the ancient Greek meaning, an elaborately structured poem praising or glorifying an event or individual, describing nature intellectually as well as emotionally (en.Wikipedia.org, 2011). While the title, Ode to Joy, may immediately bring to mind the beautiful final movement from Ludwig van Beethovens ninth symphony, many would not be aware that the music is the setting for the ode itself. Ode to Joy, or Ode an die Freude, is a poem written in 1785 by Friedrich Schiller, who was also a playwright and historian. The ode celebrates brotherhood and unity of all mankind, and this knowledge only heightens an appreciation of Beethovens musical expression of the theme. 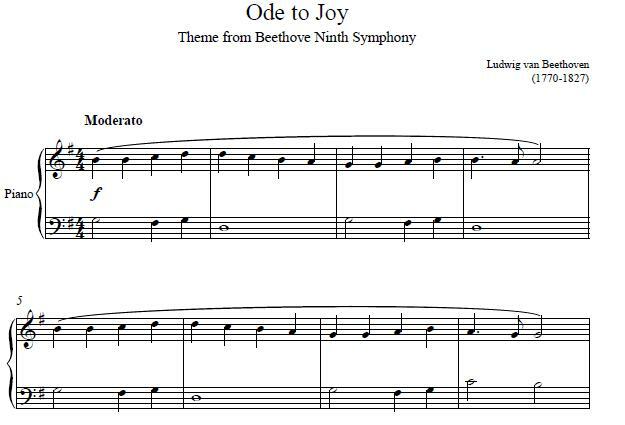 The final movement of Beethovens ninth, and final complete symphony, is also commonly referred to as Ode to Joy. The music itself is amongst the most famous of all classical pieces, and was adopted as the anthem of Europe by the Council of Europe in 1972, and also retained in 1985, by the European Union as we know it today. As well, Ode to Joy was used as the melody in the anthem of Rhodesia. Ode to Joy commonly appears in contemporary culture, most notably in the films Clockwork Orange, and in the Die Hard film franchise. The melody is also used in the contemporary songs: Song of Joy by Miguel Ross; and Road to Joy, by Bright Eyes. Besides Ode To Joy sheet music, we also have other classical sheet music such as Fur Elise, Canon in D, and many more. 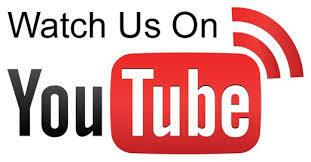 Also, you can also piano lessons online, piano tips newsletters and other piano playing resources on this website.